The new ID scanning laws came into effect in Queensland from 1 July 2017. The purpose of these laws is to identify individuals who are the subject of banning orders to the various licenced pubs, nightclubs and bars around town. In short, all licensed venues that ordinarily trade past midnight in the Safe Night Precincts, including the CBD and Fortitude Valley, are required to have approved ID scanners installed at each entry point to their venue. They are also required to scan the ID of all patrons entering their premises after 10pm, with some exceptions being hotel guests and people attending functions at the venue. The scanners are linked to an approved ID scanning system which allows the cross-checking of an individual’s ID to any known bans held by the Office of Liquor and Gaming Regulation. The concern for many people is the retention and use of their personal information obtained through these ID scanners. To address this issue, the scanning system will automatically delete the scanned information after 30 days and access to the scanned data is restricted, with the scanning system keeping a record of all those that log on to the system. Further, all licensed venues must still comply with their obligations under the Privacy Act 1988 (Cth) in relation to the protection of personal information recorded by the scanners, which includes compliance with the Australian Privacy Principles (APPs). 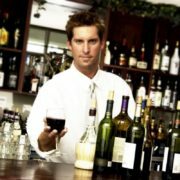 Venues may only use personal information for the primary purpose for which it is collected. It may also use the information in other limited circumstances, such as direct marketing, but must make patrons aware of the intended use of the personal information, and give patrons the option of not receiving the direct marketing, at the time of collection. The Insurance market is reviewing cover in respect to mental illness. At the time of writing, some policies specifically exclude mental illness whilst others are reviewing their cover. 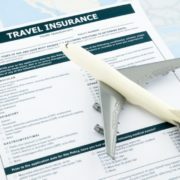 Most travel policies do not automatically cover you for claims arising from, or exacerbated by, any existing medical condition unless you disclose that condition and the Insurer agrees to extend the policy to cover the existing condition. Usually this is completion of a simple questionnaire to enable the insurer to assess the risk and advise you their decision. With an existing medical condition, it is important to identify a date of the first diagnosis. If you recently had a medical procedure e.g. knee replacement, even though you are happy about your current state of health, it is always best to declare the procedure to the insurer. It is better to declare now and be accepted by the insurer prior to commencement of the cover than have to sort a problem out at time of claim. It is important that you check the policy you intend to purchase and understand the conditions of the policy. Many people make the mistake of not taking out the policy before making that first trip deposit. If you delay, it may reflect on what you can claim. All Insurance policies require full disclosure of any matter that may influence the insurer. Corporate Travel Policies are much less restrictive than “standard” travel policies, in regard to pre-existing medical conditions, so talk to us about any concerns you have.